Adventurous teachers are set to hit hill-walking heights as they raise funds in memory of well-known Teesside businessman Russ Devereux. Popular haulier Russ, a director of Billingham firm Devereux Transport and Distribution, passed away in tragic circumstances last year at the age of just 41. Now teachers and staff at Hutton Rudby Primary School, where his children are pupils, are ensuring that his memory lives on by preparing to tackle a National Three Peaks Challenge within 24 hours – on the first anniversary of Russ’s death on the May Bank Holiday weekend. The aim is to raise £5,000 for a project focusing on childhood counselling and mental health awareness in schools across Teesside. Hutton Rudby School head teacher Matthew Kelly and four of his colleagues – Robert Johnson, Lucy Sors, Jennie Williams and Lucy Atkinson – will put their best foot forward to climb Ben Nevis in Scotland, Scafell Pike in the Lake District and Snowdon in North Wales. Their uphill challenge starts at Ben Nevis at around 10pm on Friday, May 3 and must be completed before 10pm the following night at Snowdon after scaling Scafell Pike. The plucky teachers are set to be joined on the climbs by more colleagues, and will be assisted by a full support staff from Hutton Rudby School who will be in charge of driving, first aid and supplies. The National Three Peaks Challenge involves climbing the three highest peaks in Scotland, England and Wales. The total walking distance is 23 miles, with a combined 3,064 metres ascent. It’s the type of endurance test scratch golfer Russ would have relished himself – he completed the Yorkshire Three Peaks Challenge in 2017 in aid of Teesside Philanthropic Foundation, who are supporting the new project in his memory. Hutton Rudby School head teacher Matthew Kelly said: “Russ was the kindest, warmest and most generous person you could ever meet, and his wife Cath is chair of our board of governors. 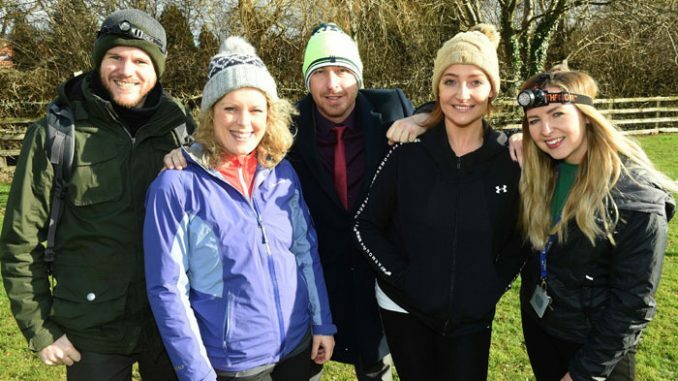 “He would have loved to do this challenge and the whole idea of it is that it is intense and high-profile so we can raise as much money as possible for what is such an important issue as mental health, and in memory of such an incredible man. “I’ve worked in a lot of schools and in different authorities and, whether they are in affluent or deprived areas, children are children. Matthew said that while his school is fortunate to have a trained mental health counsellor, Nic Sutton-Haigh, many other schools are not in the same position. “Mental health effects all walks of society and ages, and there is a lot more awareness about it nowadays,” he added. Matthew said the fundraiser has captured the whole school’s imagination while boosting fitness levels in readiness for it. “Our school motto and ethos is Working Together, and that’s exactly what this is all about,” he added.